THE HYDRAFACIAL COMPANY COMMITMENT We believe that beauty is a feeling, not a physical attribute. Skincare doesn’t need to be complicated. For all faces, change is possible. Our results are both instant and lasting, and leave people emotionally charged. We challenge the status quo and aim to turn the skincare industry upside down with our revolutionary techniques, products and philosophy. 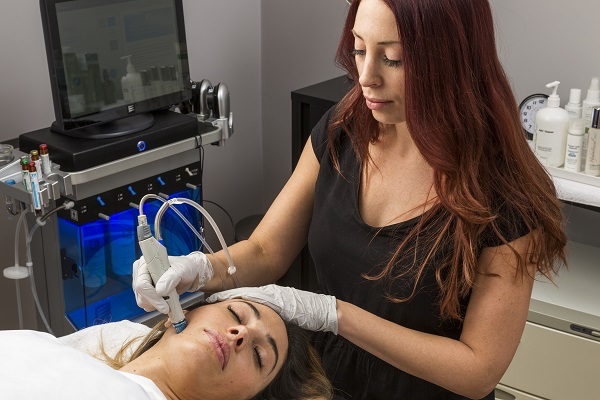 COMMITTED TO SKIN Only HydraFacial uses patented technology to cleanse, extract, and hydrate. HydraFacial super serums are made with nourishing ingredients that create an instantly gratifying glow. COMMITTED TO OUR CUSTOMERS We believe our customers can live confidently through amazing skin. We believe skinconfidence makes the best first impressions. We believe in no pain, and all gain. So we make sure our customers enjoy the experience and delight in the results. We know our customer’s always want to be their best selves—and HydraFacial helps them get there.